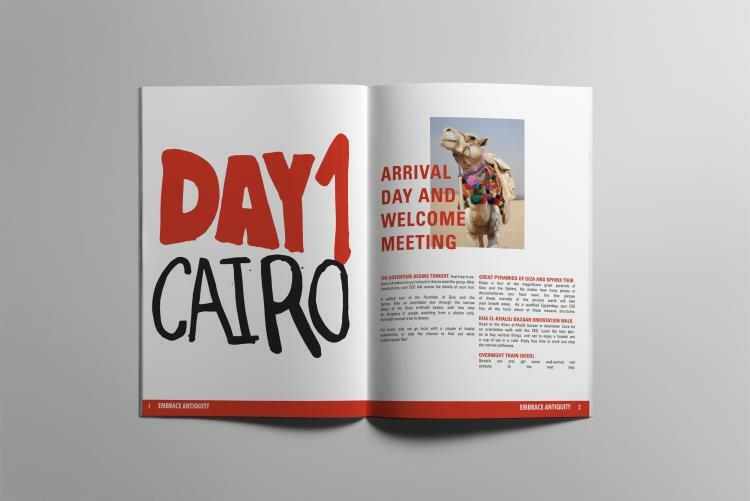 This conceptual brochure is about a tour to Egypt for eight days. The audience of this tour is early-mid 20’s who are energetic, love adventure, interested in antique, and appreciate affordability. Also, the slogan relates to ancient times, but the overall theme of the brochure is for younger people. Therefore the modern or contemporary look gives fun and excitement to young adults. The reason for using mainly red and black on the elements is because in ancient Egypt papyrus paper was mainly used with these colors. The handwritten typography uses a heavy stroke to create texture for the text. This is because people from ancient Egypt used this handwriting technique. The hand written style is similar to graffiti art. Which relates to the hieroglyphics the ancient Egyptians used. 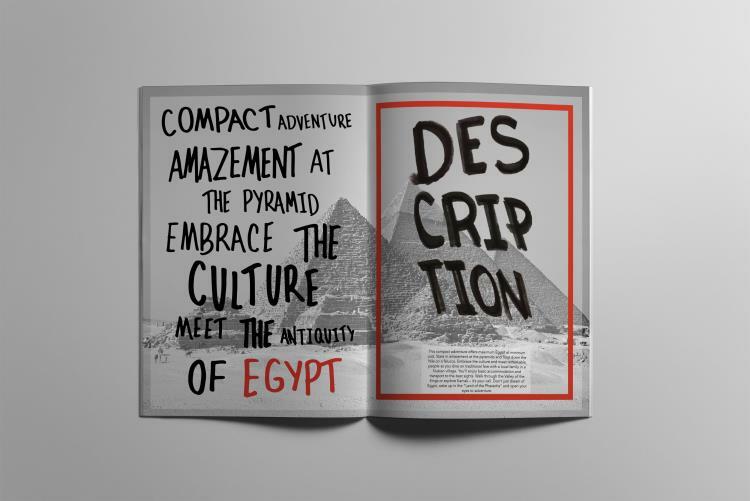 The logo was created to represent the combination of a historic and modern theme; therefore the pyramids were created with a graphic style and the text to represent the modern theme.